Northland Police have serious concerns for women who may be meeting a dangerous wanted man online. 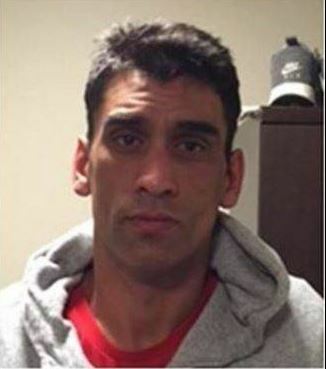 Jessie Heke-Gray has been wanted by Police since September for breaching his prison release conditions, when he left his approved accommodation in Otara and went on the run. Police believe he travelled to Northland and has been actively evading Police. Enquiries to locate him have been ongoing for several weeks, however he remains outstanding. Police believe he is active on social media sites and is meeting up with women for dates via Facebook and other social media apps. Last Tuesday he is alleged to have violently assaulted a woman he met over social media. Later that day Police deployed the Armed Offenders squad to a Whangarei address, after receiving information that he may be there, however Jessie Heke-Gray was not located. Police have further information to suggest that Jessie Heke-Gray has been active on social media in the past few days and is attempting to meet women in person, as recently as last Sunday. Jessie Heke-Gray has a history of violence towards women. He is believed to be a meth user and is displaying signs of paranoia, he is also believed to have access to weapons, including a firearm. “We need to catch this man as soon as possible. Anyone who may be helping him to hide should consider that they will have the full force of the law thrown at them if we find that that they have helped him to avoid capture” says Inspector Al Symonds, Northland Police. “Jessie Heke-Gray is a very dangerous man. We need help to find him sooner rather than later” says Inspector Symonds. Anyone who sees Jessie Heke-Gray or knows where he is should call 111 immediately. Media: Inspector Symonds is available for interview until 4.30pm tonight.